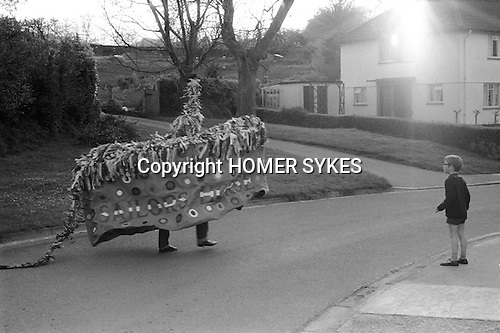 The Minehead Hobby Horse, Minehead, Somerset. 1971 May 1st. May Day at dawn walking back from Whitecross where it bowed three times to the sun before walking back to Minehead.